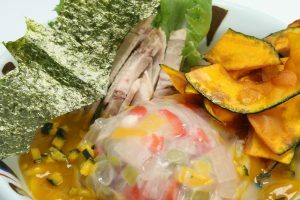 With the amazing variety of sushi available in Japan, it's not unusual for dish to stray off the beaten path. 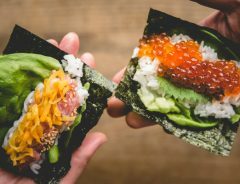 While there is no actual rule that sushi use raw fish, it can be jarring for some to see artistic vegetable sushi, Kit-Kat sushi, and 6,000 calorie 50 cm long Ehomaki rolls. 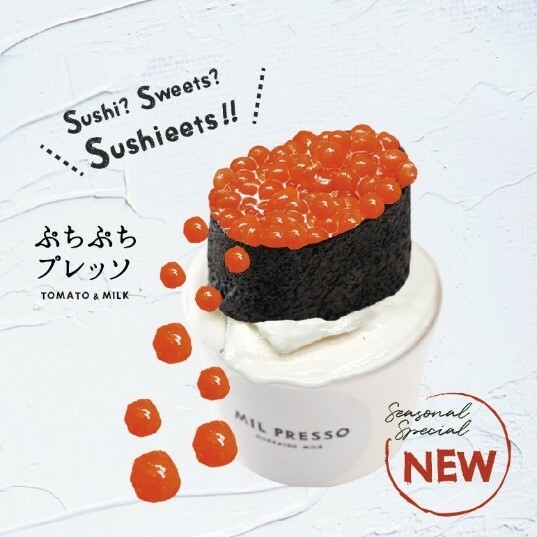 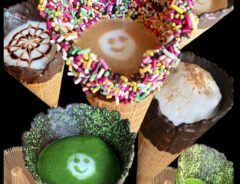 Hokkaido soft serve ice cream shop MIL PRESSO might be setting a new standard for sushi surprise, however, with their latest offering of "sushi sweets", a menu item that combines sushi and ice cream! 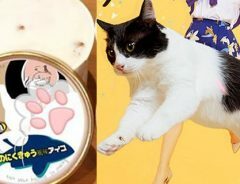 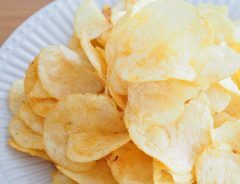 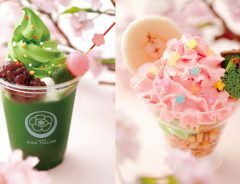 Released on February 6, the sushi sweets series promotes to regional specialties in Hokkaido: Hokkaido milk soft serve ice cream and gourmet seafood. 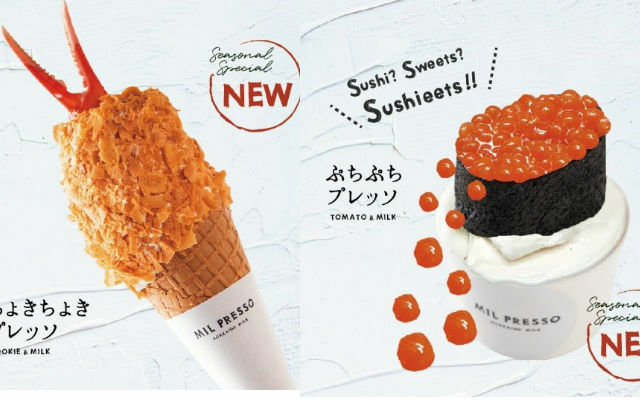 The first item is a replica of ikura sushi (salmon roe), but if you're worried about how that may taste, don't worry, it's just for show. 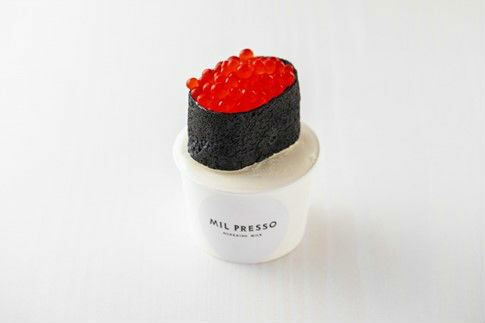 The "ikura" are actually bulbs of tomato juice jelly, with MIL PRESSO boasting of the delicious combination of tomato's acidity and the sweetness of the soft serve wrapped with a black crepe. 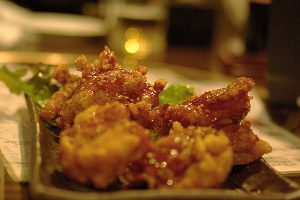 Priced at 600 yen. 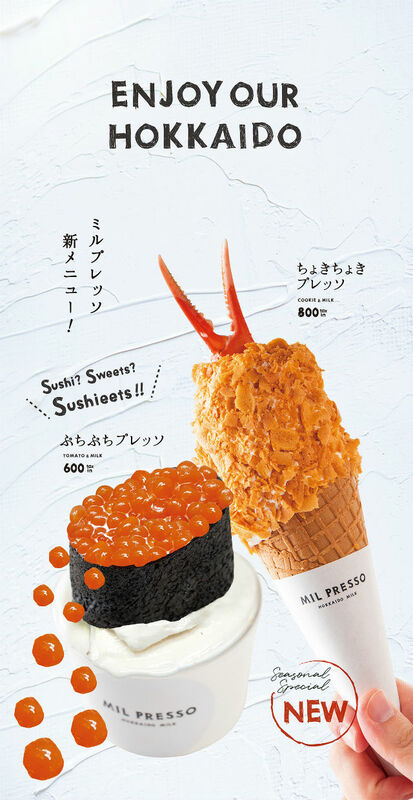 The second item is a bit more adventurous as it's pretty much what it looks like--Crab Cream Croquette ice cream. 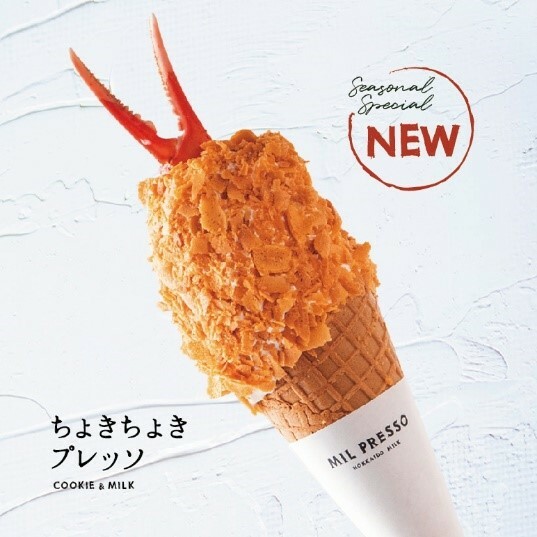 The "cone" of the ice cream is made from pie doe, but then doused in crunchy crab flakes. 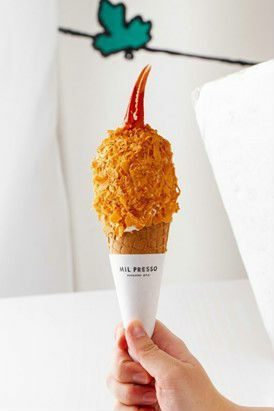 The shop says the croquette cream and ice cream go together hand in hand, with the added appeal of umami from the crab flakes. 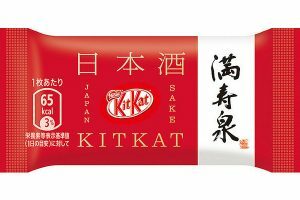 Priced at 800 yen. 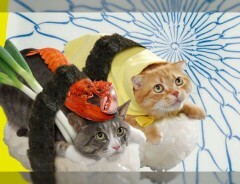 Cats Dressed Up As Sushi Rolls Are As Cute As It Gets!